Hello again loyal readers, its time again for my annual~ish update and post! Before launching into project-related things, I’ll note that the site has been updated to run WordPress 4.4.2; all of the out-of-date plugins have been updated as well. Also semi-side note, but it appears that the site is now over 7 years old…wowza! Anywho, I have actually been putting off this blog post for almost half a year now. I had plans to do site updates a few weeks ago too, but my host was experiencing some weirdness which made the page takes ages to load (at least on my end). I had a blog post sitting in queue regarding the Vela Pax Beta 2.1 release around the end of Summer ’15, but I never got around to finishing it. It was going to go into the changes as of the beta 2 release, as well as some of the project’s history up to this point. I’ll probably make a similar post like that in the future though, so no worries there in case you were interested in reading about that stuff. So as far as updates go, there are quite a lot to bring up. I have been relatively busy in the past few months with various projects, many of which have been released by this point. Check the Design page for the updates. Here’s a list of my recent contributions and projects. My latest contribution is for the Ty Halderman tribute project. 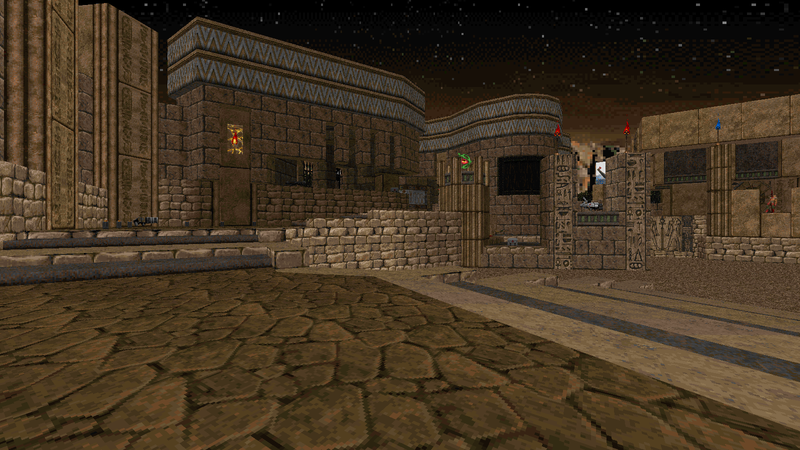 It’s a Boom-compat singleplayer/coop map with some Final Doom/TNT nods, though the gameplay is its own thing. 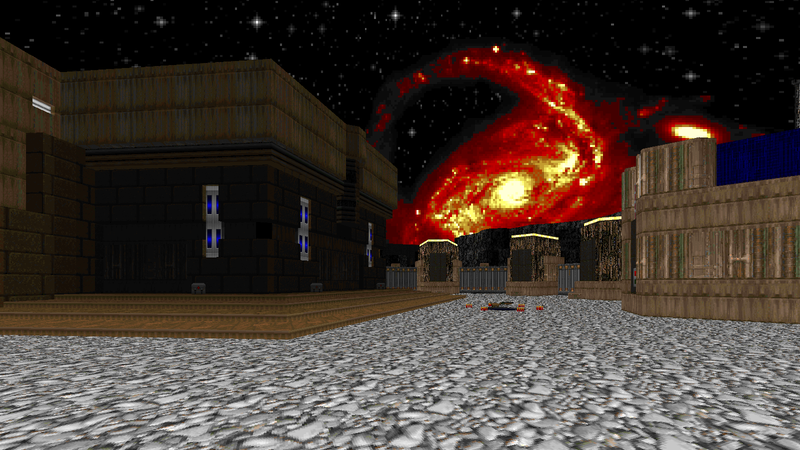 I’ve also contributed sky textures and other bits of graphic work to the project. If your interested in contributing, drop by the project’s thread and talk with Chris Hansen, the project’s coordinator and leader. Right around the time I started on my Ty project map, Shaikoten started up 32in24-15: Dwango Unchained. I was afraid dropping work on my Ty map at the time to do some 32in24 submissions would really stall my progress. But instead I ended up making a total of 4 maps for the project, and went on to finish my Ty map without too much trouble! I was pretty happy overall with all 4 of my submissions to this 32in24 session. It was a lot of work, but I was able to fully detail 3 of the maps and clean up the 4th, while also contributing 3 movie poster textures on top of all of that. 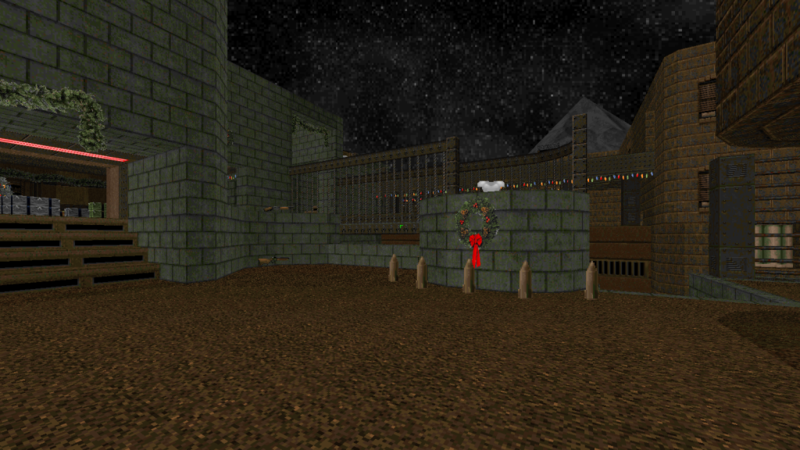 Right around Christmas time, I finished up a deathmatch map for the 2015 Christmas Extravaganza Map Pack for Zandronum. 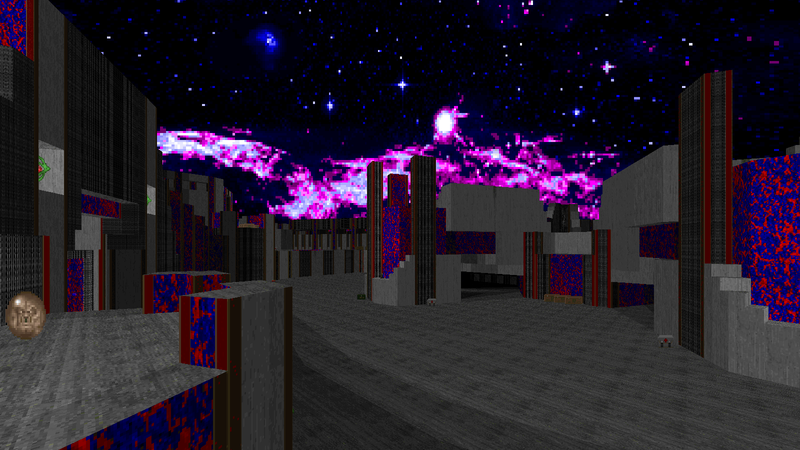 This map actually comes from an unused bare layout that I made for SpaceDM9. It’s a pretty fun compilation of DM maps from the community, with some fun new weapons and other silly things. Check it out! 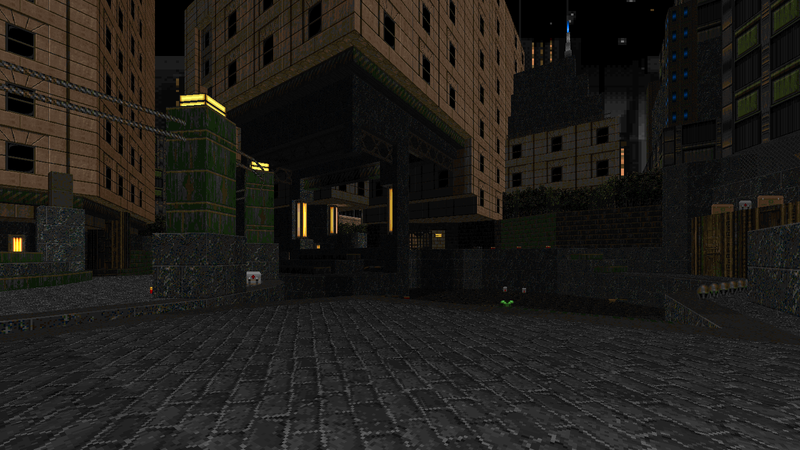 50 Shades of Graytall was released not too long ago, and I contributed 1 very large and complex map for the project. 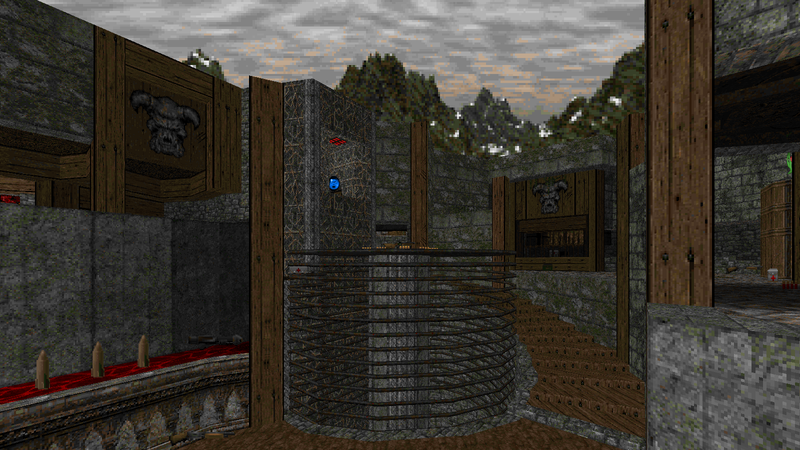 As the name suggests, the maps were limited to using the texture GRAYTALL along with FIREBLUE and DOORTRACK (with some flexibility granted for flat usage). It was a very fun mapping exercise for me, and my end-product is probably one of the most fun maps I’ve made in a long time (just from re-playing it personally). Other people also really seemed to enjoy this project as well as my map in particular; the map set ended up winning a 2015 Cacoward! 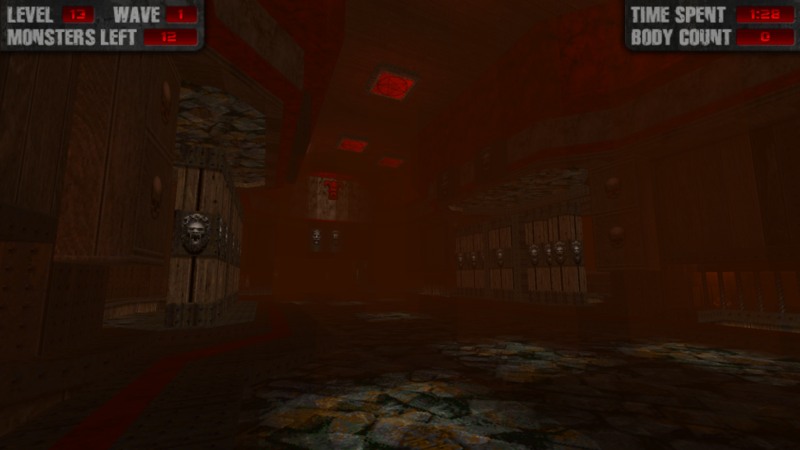 Finally, less of a recent update here, but I made a project page for my Stronghold: On the Edge of Chaos contribution. 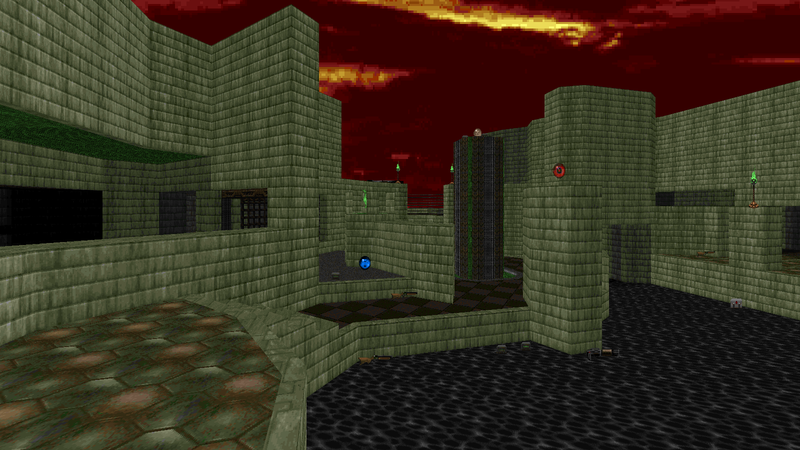 I had completely forgotten about this map and was only reminded of it while going through some of my old, unfinished maps recently. I went into some of the history behind that map (what I can remember anyways), so check that out if your interested. As I mentioned earlier in this post, Vela Pax Beta 2.1 was released around the middle of October ’15. You can give it a download HERE and read more about the release HERE. Beta 2.1 is basically a COOP-focused release, but it also fixes and adds a few things too. At some point I’ll make a new blog post talking more about the history and future of Vela Pax. Welp, that’s all for now folks! Thanks for reading!